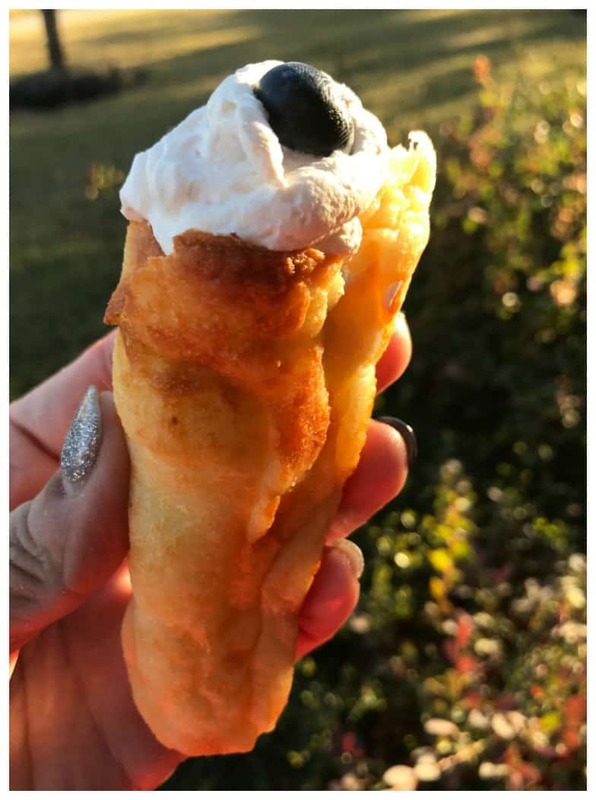 I can’t believe I just made this very successful Keto Cream Horns recipe! You don’t even understand how incredibly excited I am about this dessert! 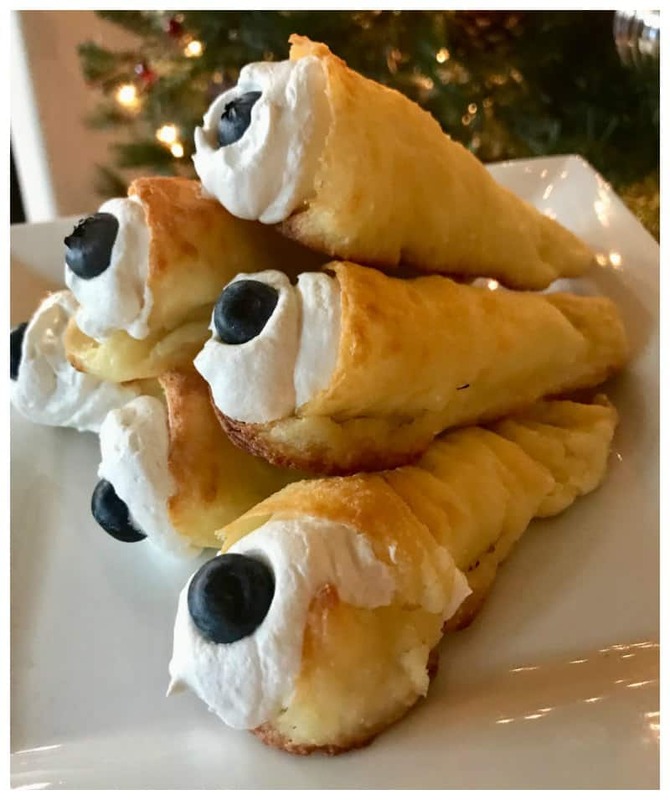 Last year, about this time, I made this non Keto Easy Cream Horns recipe. I remember thinking how easy it was and how everyone loved it. 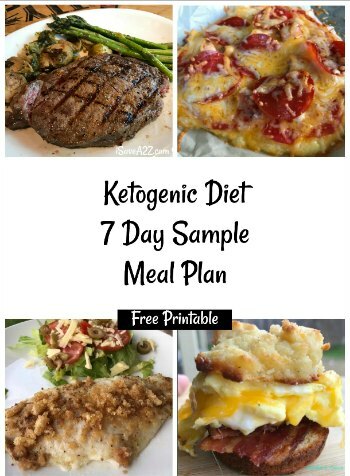 Little did I know at this point in my life that just one month later from making that recipe I would be knee deep in my Ketogenic Diet research about to start my own journey! Ok, don’t get weirded out by the way I made this recipe because I swear to you it’s amazing! 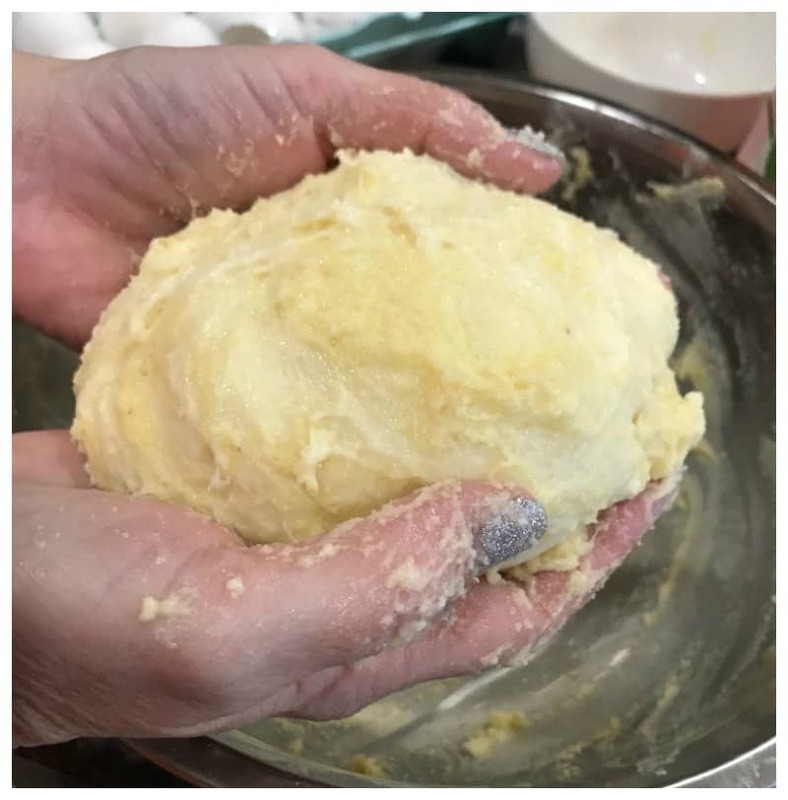 I created a sweet version of the Keto Fat Head Dough recipe and used that as the base. 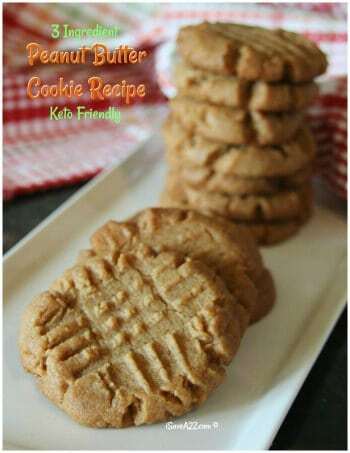 I sweet dough mixed with a light, fluffy and sweet creamy center makes this recipe top notch! I promise! 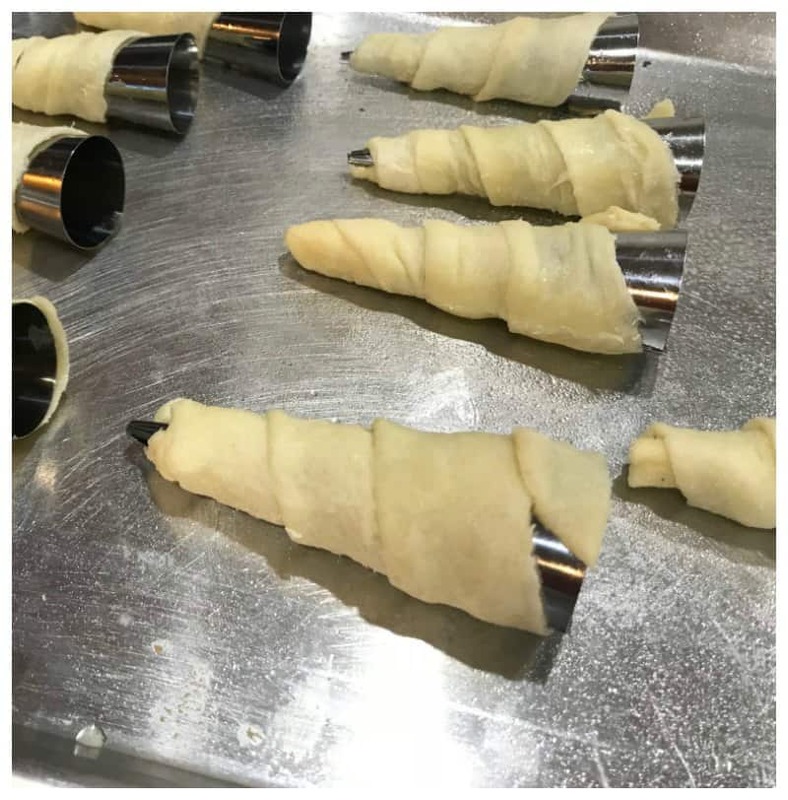 Before I go on, I need to tell you that if you plan to make this recipe, you will need or order a set of stainless steel cream horn molds. I could not find them anywhere local to me. Save the gas and the heartache. Order them online. I tried to create a frugal version by molding some foil in the same but it was a total fail. You might want to add disposable piping bags if your checkout if don’t have those too. The disposable ones make for easy cleanup! 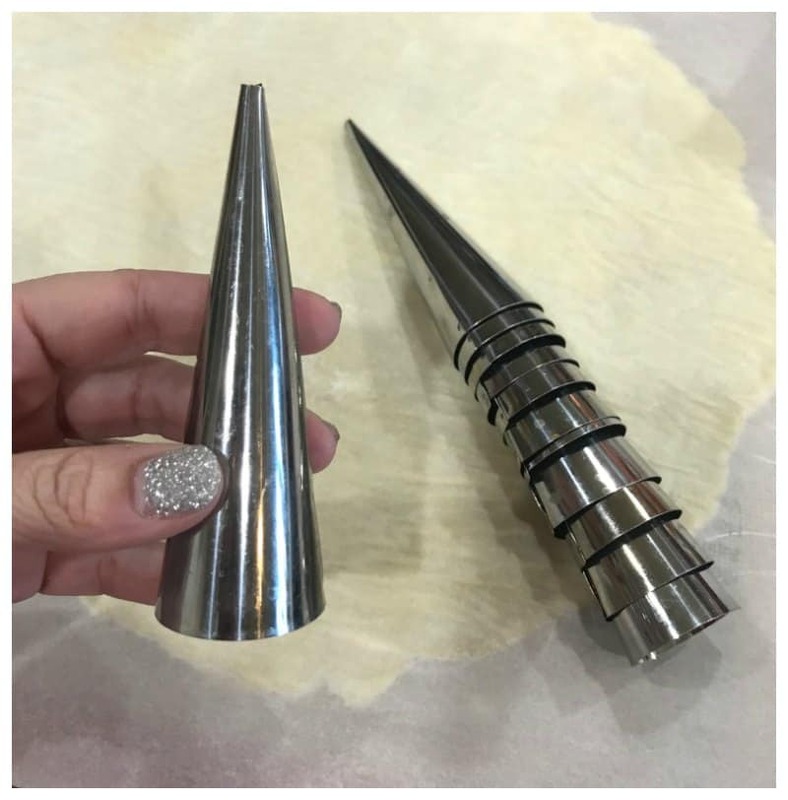 Note: you will need these Horn molds I purchased on Amazon when baking them! 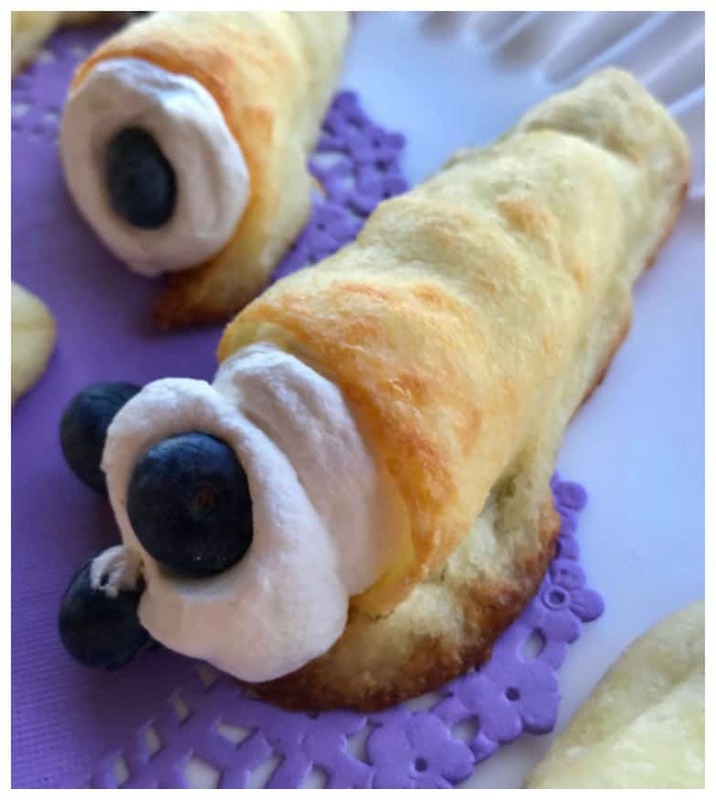 This recipe makes about 12 medium sized cream horns! 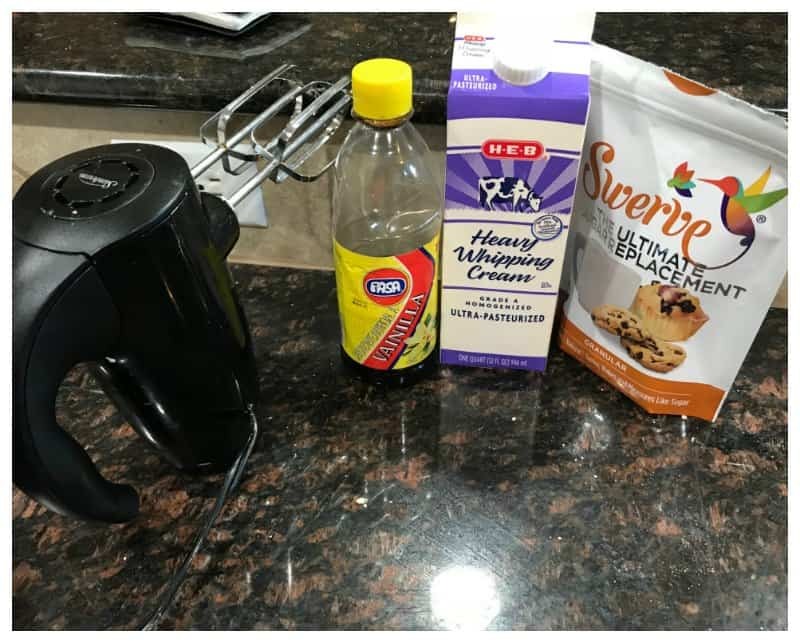 Add one egg, stevia powder, and vanilla extract to the heated mixture and stir it until all the ingredients come together. The dough will be sticky. 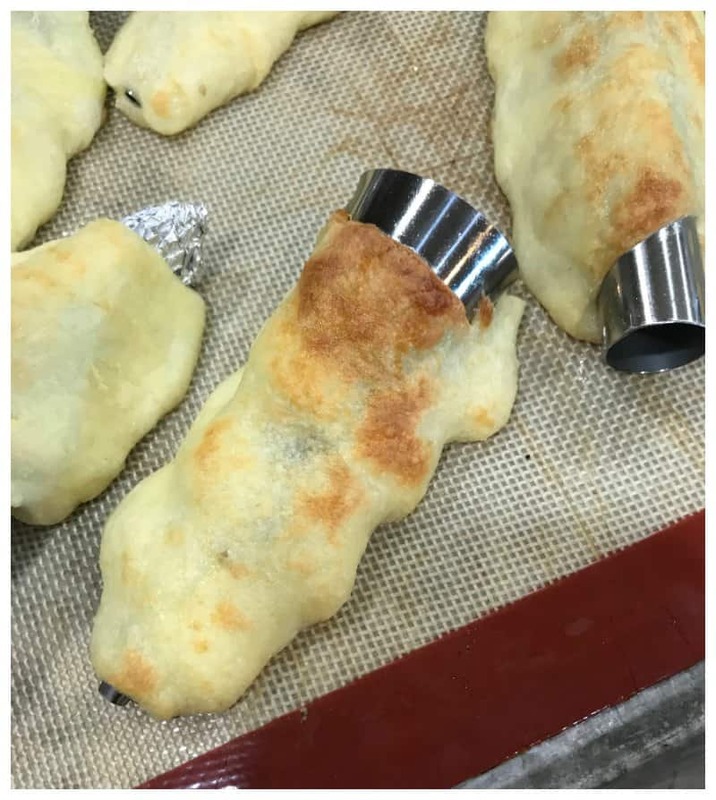 Split the dough into two equal parts. Lay another piece of parchment paper over the top of the other sheet of parchment paper with your dough in the middle of both sheets. The dough will feel a bit sticky but it will come together the more you start to roll it out and mold it. Use a rolling pin (or your hands) smooth out the dough over the top of the parchment paper. 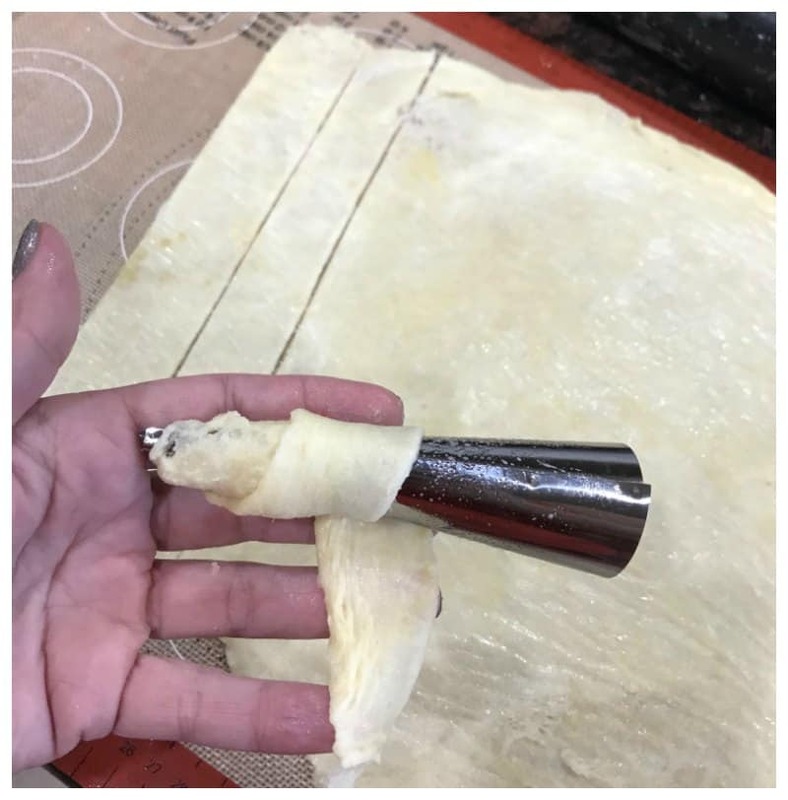 Use a pizza cutter and cut strips of dough long enough to cover the stainless steel cream horns mold. Place each mold on a baking pan lined with a silicone mat or parchment paper to avoid sticking. Allow them to cook before attempting to remove the stainless steel cream horns mold. Start making the whipped cream filling while the cream horns are baking. 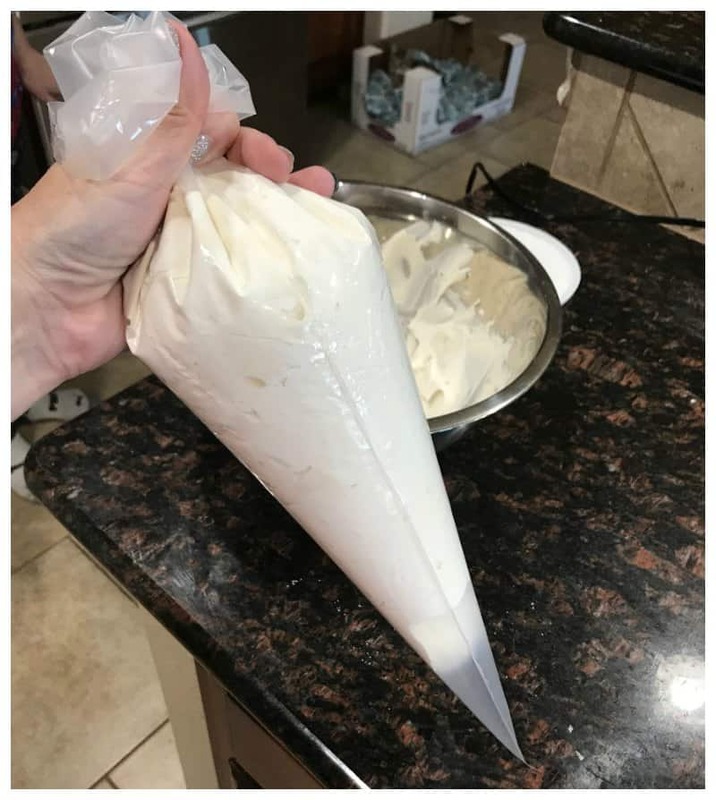 Combine all the ingredients and use a hand mixer to mix it on high for about 5 minutes or so until the whipped cream becomes nice and thick. Once it’s done, fill a piping bag with the whipped cream filling. 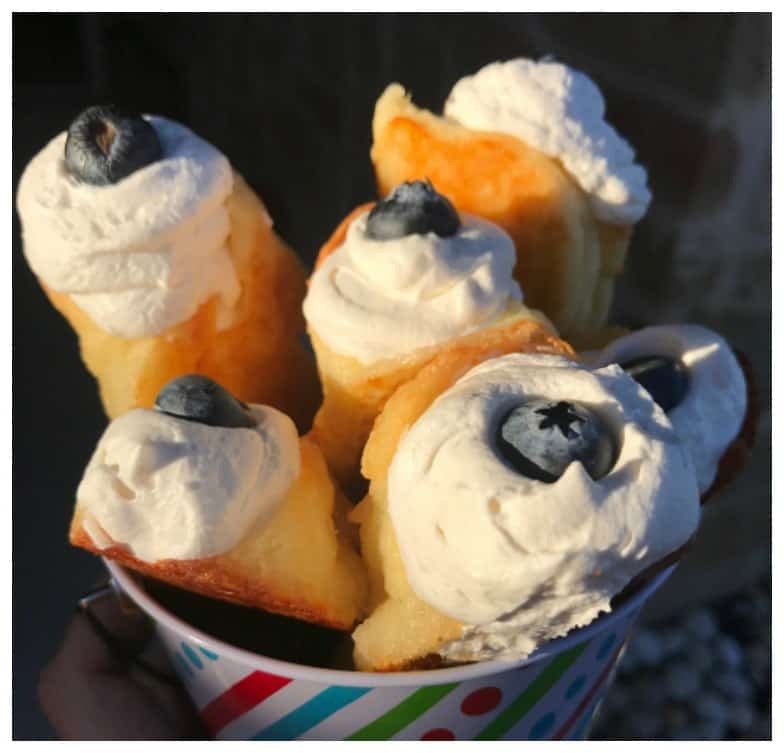 Once the cream horns have cooled, Fill the center of each cream horn with sugar-free vanilla flavored whipping cream. 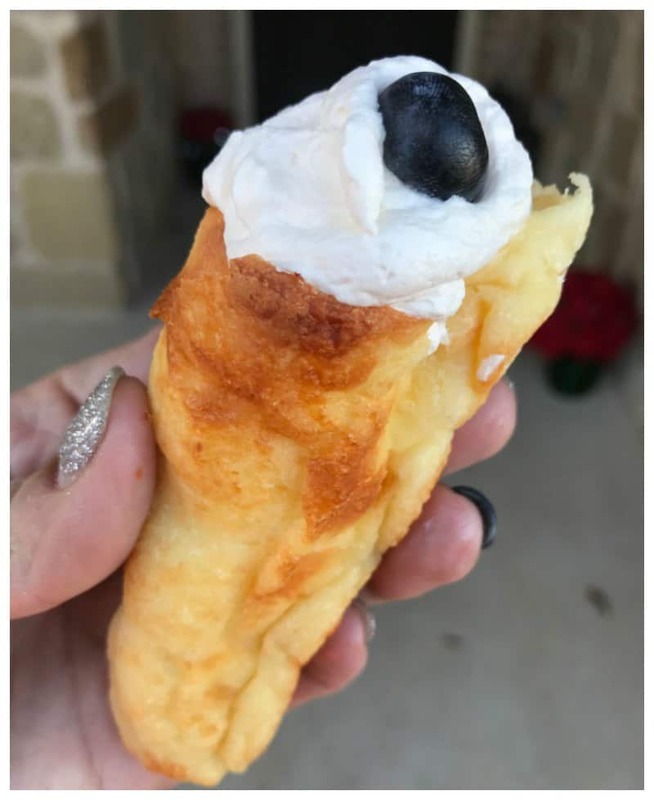 Top each cream horn with your favorite Keto friendly fruit option! We love to use blueberries, strawberries or raspberries! 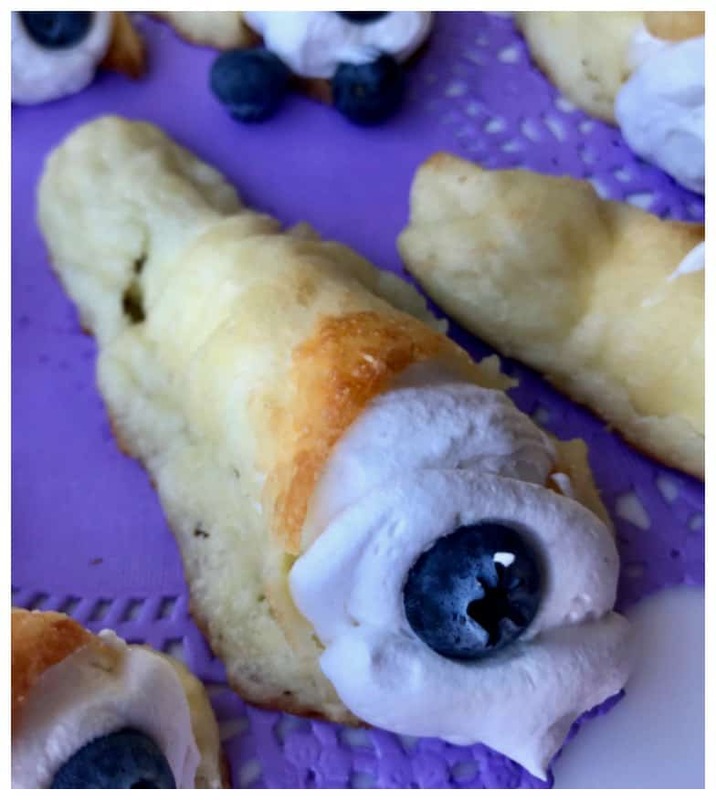 Here are a few photos we took while making these delightful treats! 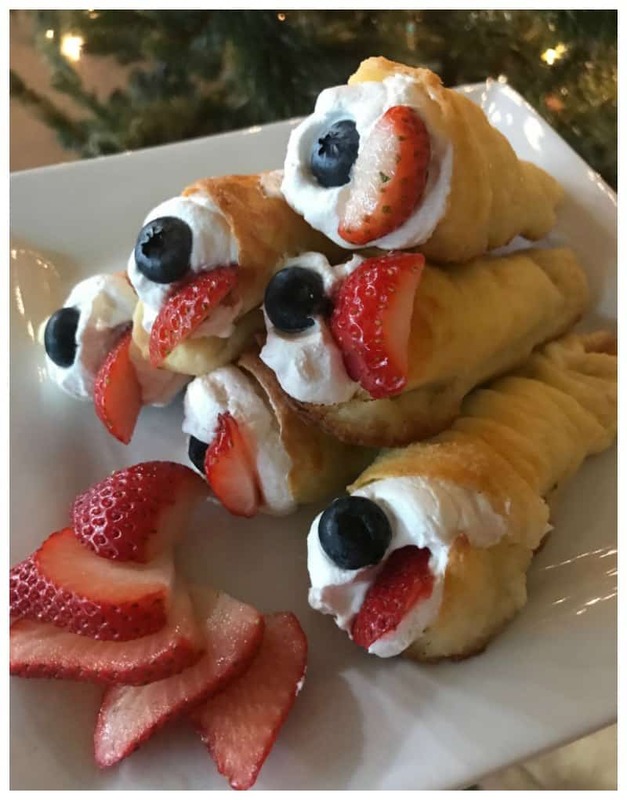 You can grab the printable version of this recipe at the very bottom of this post. 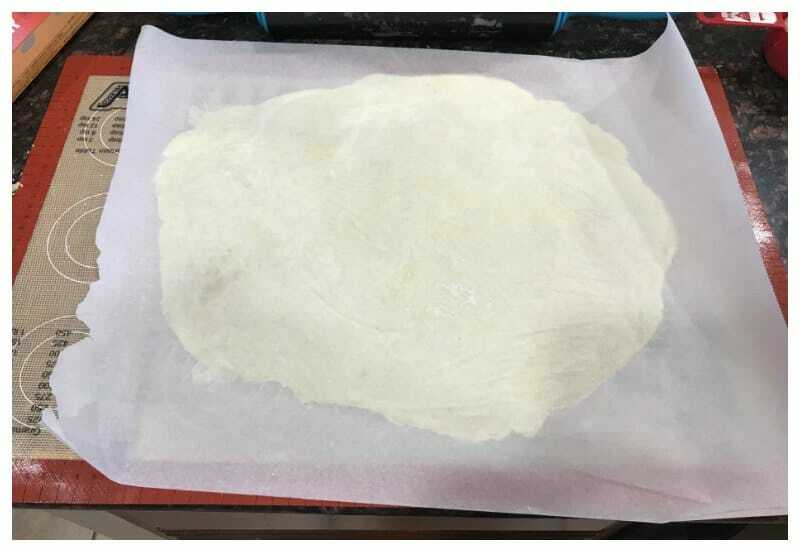 Lay another piece of parchment paper over the top of the other sheet of parchment paper with your dough in the middle of both sheets. The dough will feel a bit sticky but it will come <g class="gr_ gr_155 gr-alert gr_gramm gr_inline_cards gr_run_anim Grammar only-ins replaceWithoutSep" id="155" data-gr-id="155">together</g> the more you start to roll it out and mold it. 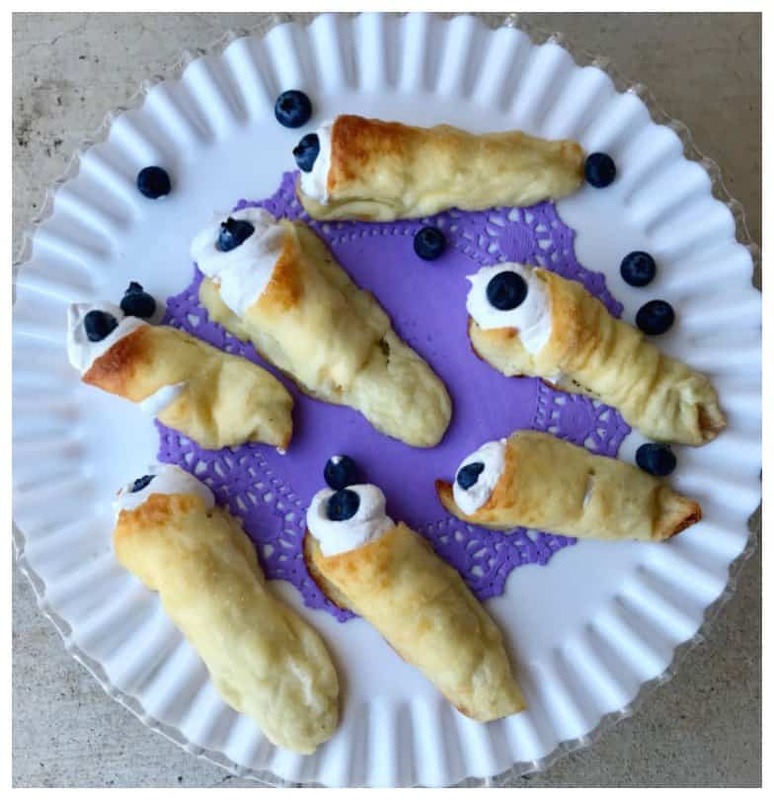 Start making the whipped cream filling while the cream horns are baking. 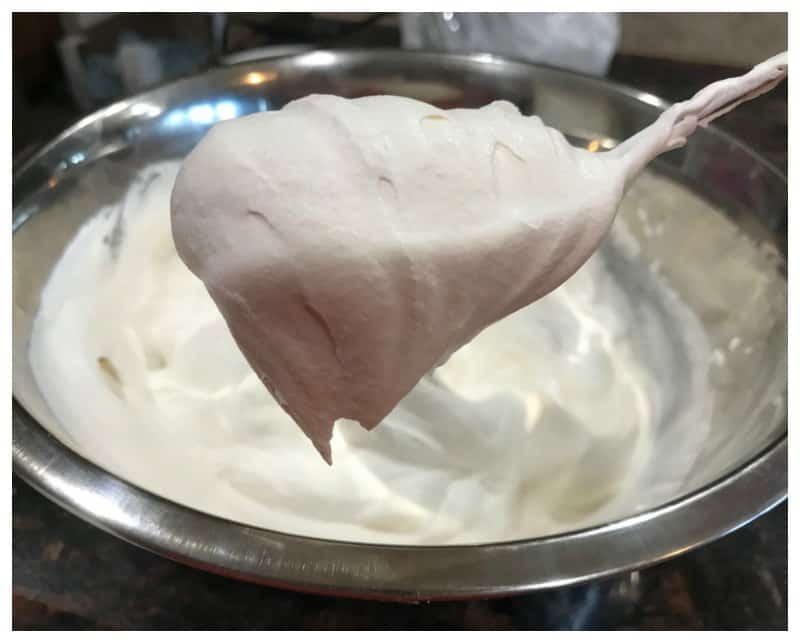 Combine all the ingredients and use a hand mixer to mix it on high for about 5 minutes or so until the whipped cream becomes nice and thick. Once it's done, fill a piping bag with the whipped cream filling. 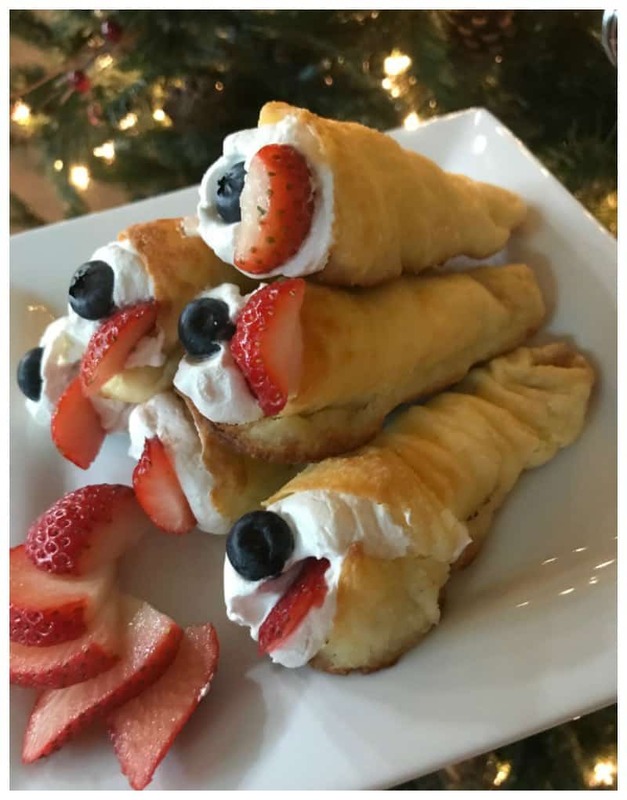 Top each cream horn with your favorite Keto friendly fruit option! We love to use blueberries, strawberries or raspberries!es! 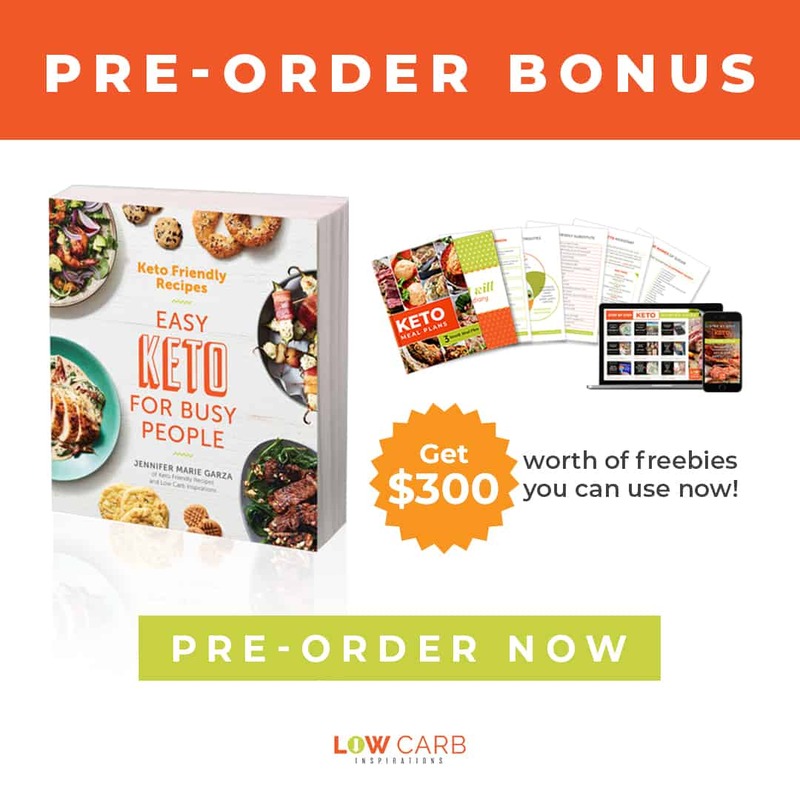 If you need a good group to join on Facebook that supports your Low Carb or Ketogenic lifestyle, I highly suggest checking out Low Carb Inspirations (plus Keto Friendly Recipes) here. It’s one of the most uplifting, positive and supportive groups I’ve ever been part of. It’s a closed group, so you will need to click the join button to get approval to get in. See you in the group! 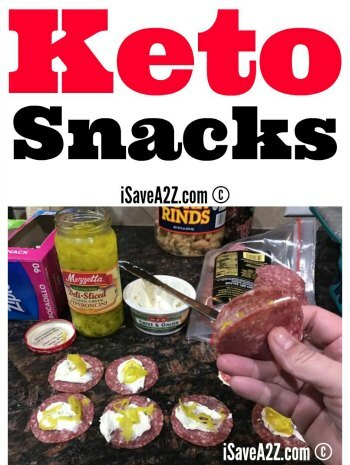 By Jennifer on December 9, 2017 Keto Appetizer Ideas, Keto Dessert Recipes, Keto Friendly Recipes, Keto Thanksgiving Day Recipes, Recipes, Weight Watchers. They really hold up well for a long time. No need to worry at all.